If you need searching for Xiaomi Mi MIX 3 smartphone spare parts, you may find and buy them on our shop, In our shop you are looking for high quality spare parts for your Xiaomi Mi MIX 3 search here. We provide such spares as: LCD Display+TP, midframes, spare batteries, sim card trays, USB chargers flexes, power button flexes, earpiece speakers, volume button flexes, buzzer flexes, back battery housing, proximity sensors, antenna coax flexes, back and front camera replasement, vibration flexes, audio flexes, home and sound on\off buttons and flexes. All these and even more parts for Xiaomi Mi MIX 3 can be found at wholesale prices on our shop. 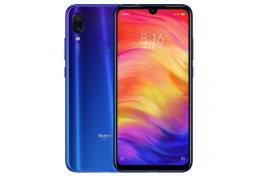 If you are looking for a supplier of Xiaomi Mi MIX 3 spares for refurbishment for your repair servise this category is just for you also.